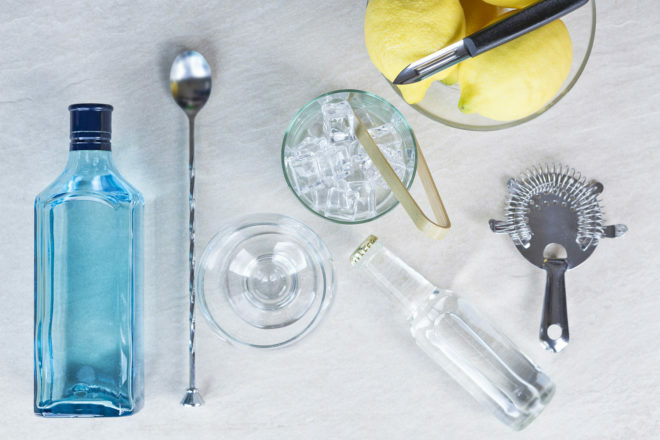 Gin has experienced a Renaissance and is making a comeback this year. Gin has experienced a Renaissance and is making a comeback this year. Words by Sheridan Wright. The histories of both gin and London are more entwined than either would like to admit. London’s early shipping activity provided not only access to spices and botanicals from mysterious foreign lands, but in turn endowed a generation of workers with a voracious thirst and exotic tastes. Gin which has lived, died and lived again, has recently experienced a resurgence as a fashionable modern tipple, bringing with it a curiosity regarding the creation and history of the spirit. In response, London’s oldest and most internationally renowned distillery, Beefeater Gin, has been welcoming guests since May 2014, leading them through the history of gin and in turn providing a history lesson on London itself. We asked Global Beefeater Gin Ambassador Tim Stones his top tips for creating the perfect martini. Winston Churchill famously preferred his so dry that he asked his bartender to stir it while simply looking at a bottle of vermouth. Try to keep your mixing glass and cocktail glass in the freezer. At the very least, chill your cocktail glass with ice before you pour the drink. Many people forget that it is in fact a wine and will oxidise in the same way if left untended. Keep it in the fridge and buy it in the smaller sized bottles to match your needs. How much vermouth you add is up to you, a 50/50 balance is a nice introduction, but most bars will stick to a 7/1 (gin/vermouth) ratio, or 15/1 if you want it super dry. When mixing down the gin on ice it’s a fine balance between cold enough and too much dilution. Aroma is the key here; stir until you can really smell the botanicals in the gin opening up. When you smell it clearly, you’re ready to pour. A lemon twist is perfect as it complements the gin’s botanicals. Look for firm lemons with visible pores as they’re likely to be the ones laden with the fragrant oils you’re after. Twist a small piece of lemon peel over the surface of the martini. This will release the oils in the skin. Avoid rubbing the rim of the glass with the twist as it can be bitter; it’s about providing a surface aroma rather than taste. Includes guided and non-guided elements and a gin and tonic on completion – how civilised!